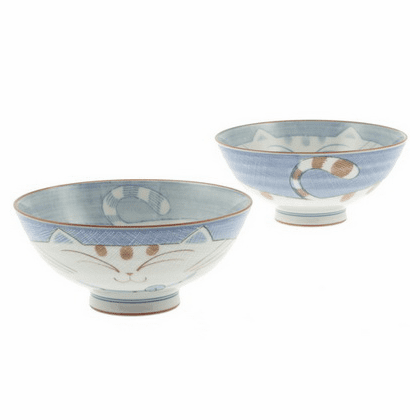 Ceramic bowl with very cute and clever multicolored cat designs inside and out. 5-1/2" in diameter, 2-1/2" tall. $8.95 each.